How do we, as orthodontists, encourage trust in orthodontics? Let me repeat that last phrase, “good relationships are built on trust.” Now let’s go back to what Mr. Mackay said, “there are one million words in the English language and the most important five-letter word in business is trust.” Now let’s combine those two for our own purposes… good relationships are built on trust, therefore, the most important word in the business of orthodontics is trust. Without it our practices wither and die. Building trust, therefore, is one of the most important things we do on a daily basis. Trust leads to success. How do we build the trust necessary to achieve that success? Mr. Mackay argues that today’s orthodontists must be salespeople. What are we selling? We are selling ourselves. If we do a good job, trust is created, and success is ours. What is required to create trust? First, we must be good at what we do. We must have exceptional people skills, likeabililty, and a terrific chairside manner. I don’t know about you, but I think this list describes pretty much every orthodontist I know. If that’s the case, how do we set ourselves apart? How do we say to our patients, we are the person that you should put your trust in, not the other guy? I believe that it comes from truly caring about our patients, not just their teeth, but their lives. We have the opportunity to impact those young lives in a positive and lasting way. How are we going to do it? Do you provide patients with the tools they will need to be successful? First and foremost, of course, we are creating beautiful and healthy smiles that last a lifetime. Unfortunately, sometimes our adolescent patients are not at a place in their lives where they can really appreciate that. So how can we reach them in other ways? It comes back to caring and generating trust. What do they do other than come to your office? Do they play a sport or an instrument? Do they love the arts? Do they want to be an orthodontist someday? If you don’t ask the questions, you’ll never get the answers. Become involved. What is another way? It comes from recognizing that what seems mundane to us, can be extraordinary to them. We place and remove braces every.single.day… they do it once in their lifetime. What is it like to be a young person with braces? Does it make them feel like a part of the crowd, or outside of it? What about helping them with elastic compliance issues? Starting a new habit like elastic wear while they are busy living their very full lives can be a real challenge. Do you provide them with the tools they will need to be successful? 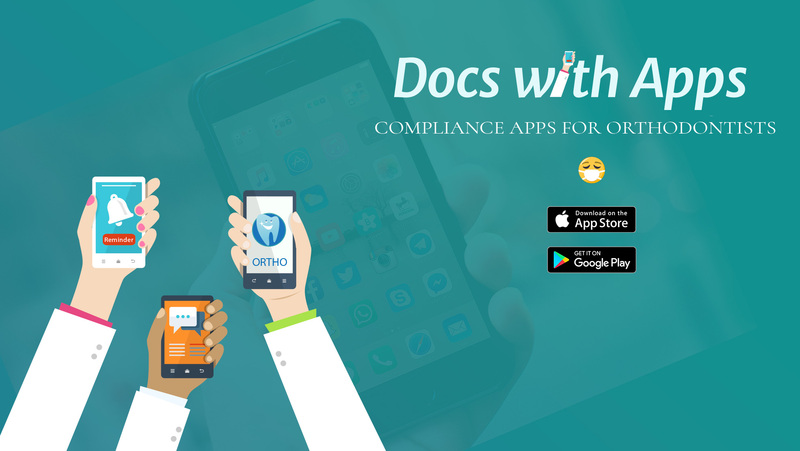 Docs With Apps can create a Compliance App for your practice that can do just that. Take the extra step. Go the extra mile. You will find that your patients and their parents will have a lot more to thank you for at the end of treatment than simply a set of straight teeth. The most recent Practice Management Bulletin published by the American Association of Orthodontists has as it’s focus, internet trends in orthodontics and how they should influence the digital marketing that we use as practicing orthodontists. Katie Maassen, AAO Director of Marketing and Communications, reports the following. In 2008, the average time American adults spent with digital media was 2.7 hours and by 2016, it had risen to over 5.6 hours per day. In 2013, due to increased access to smartphones, tablets, and laptops, time spent with digital media had already surpassed time spent watching TV. YouTube, with over a billion active users, reports that it reaches more 18-49 year olds than any cable network in the US. Alright, so what do these figures mean to those of us in the trenches of orthodontic practice day in and day out? How can we interpret the information provided and use it to our advantage as we take on the digital marketing world? How can we leverage our patients’ love affair with digital media? First, it is vital that our websites are engaging and up-to-date. Up-to-date in today’s jargon really means that it needs to use a responsive design. We’ve all heard this term thrown around at meetings. It means that regardless of the size of the screen on which you view your website, it has been optimized to fit that screen. It is also critical to update your site with quality content on a regular basis and to share that information rather than hope someone randomly finds it on the internet. Okay, now that we all possess the best websites known to man, what’s next? Unfortunately, it is no longer true that if you build it, they will come. You have built it, and now you must make it dance. As we all know from our daily interaction with our patients, they always, repeat, always have their phones in their hands. Often, you can’t even get them to tear their eyes away from them long enough to complete their planned treatment for that day’s appointment. This is what you need to use to your advantage. Give them a reason to interact with you and your practice on their phone with your very own custom app! 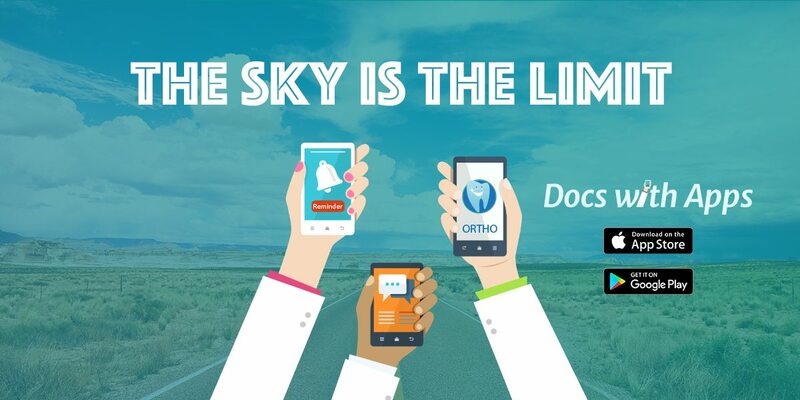 What can your Docs With Apps compliance app and marketing video do for you and your practice? How can they help you stay current with today’s internet trends in orthodontics and take your marketing efforts to the next level? If your patients are already on their phones, let’s interact with them directly. Let’s help them help themselves by improving compliance with elastic wear and as a result, complete their treatment on time. Let’s extend our patient care beyond the four walls of our office. Let’s boost our patient care quotient. Your updated, responsive website, your customized compliance app, and your YouTube video presence, are all things that will move you to the top of the list when patients are searching for an orthodontist. In order for your online marketing to be most effective, you need to be on the first page of the search. If you’re stuck on page 2, you may as well not even exist. It is vital to the continued success of our practices, that we stay current with the ever changing internet trends in orthodontics. 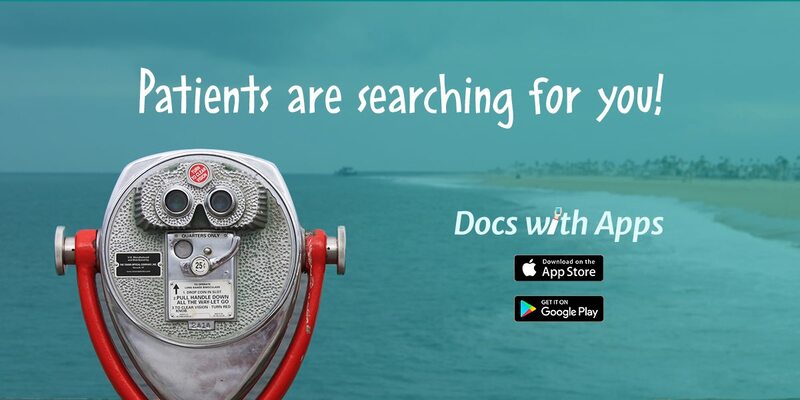 Contact us today and let Docs With Apps take you there! 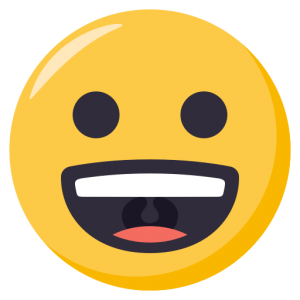 What is Personalized Orthodontic Care? How do we achieve the goal of meeting and exceeding our patients expectations? We go the extra mile by recognizing that the orthodontic journey is just as important as the destination. Any properly trained orthodontist can treat a malocclusion and provide a beautiful smile as the outcome, but is this is no longer enough to satisfy today’s savvy patient. 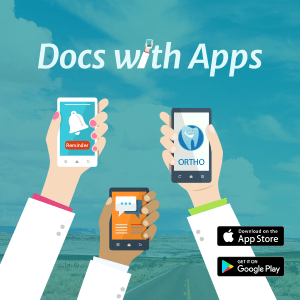 Docs With Apps is here to help you take that next step for your patients. Question: How do you effect a change, when you are only able to see your patients on a monthly or bimonthly schedule? Answer: By providing them with a customized app, designed and branded specifically for your practice, that once downloaded with send each patient four fun reminders each day to lend that personalized touch that will make all the difference to that patient. What is SEO and Why is It so Important for Orthodontists? Strictly defined, SEO stands for Search Engine Optimization. What does that mean to those of us outside the tech community, and why is it so important? According to Wikipedia, Search engine optimization (SEO) is the process of improving a website’s visibility. The better the visibility, the more visitors your practice will receive from search engine users, and therefore, the better opportunity we have to convert those visitors into customers, or in our case, patients. Okay, now that we know what it is, how can we use it to our advantage? Search engines, like Google, are looking for specific things which set you apart from the competition. Tip: Updating your website with quality content on a regular basis is one of the most significant actions can make. One of these things is video content. This is something that Docs With Apps can help you with. First things first, let us create a customized and branded compliance app for your practice. This is a state-of-the-art communication tool between you, your practice, and your patients that extends your care beyond the four walls of your office by sending fun reminders four times daily to help your patients wear their elastics as directed. Now that that’s done, let’s optimize your SEO, shall we??? Docs With Apps will create a customized video describing what your customized app can do for your patients. We will post it on your website, you can send it directly to patients and referring doctors as a marketing tool, and yes, give your SEO a big boost at the same time, putting you at the top of the search list and, therefore, giving you the opportunity to convert more visitors to patients. It’s a win-win. 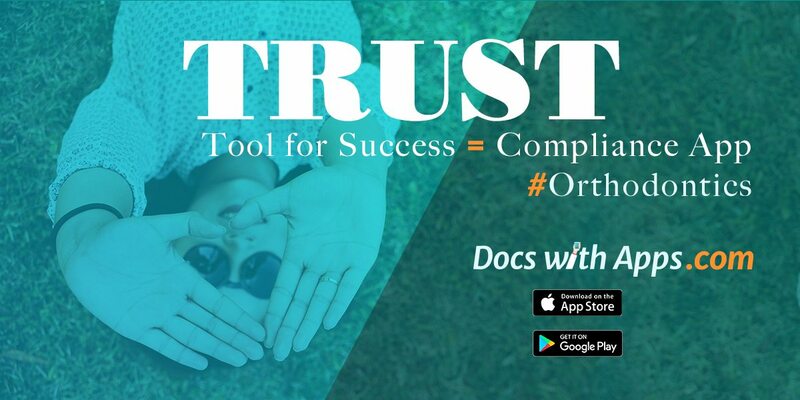 Let Docs with Apps help take your practice to the next level with your customized compliance app, your customized marketing video, and send your SEO through the roof! What is Branding and Why is it Important to Today’s Orthodontic Practice? Ms. Skomal recommends taking the following into account when designing a brand for your practice. Commit to using your brand practice wide in marketing materials, your website, office decor, etc. In today’s marketplace which includes not only competing with other orthodontic colleagues for patients, but general dentists and corporate dental practices as well, we should all be looking for ways to set ourselves apart. Utilizing quality marketing and custom logos is an important first step. Docs With Apps should be the next step. Docs With Apps will take that carefully crafted brand (or help you create one) and use it to develop a custom branded mobile app for your practice. This app allows you to reach out to patients in ways that you can’t now. Do your patients need help with elastic compliance? Your custom app can help them manage that and shorten treatment time as a result. Do your patients have issues after hours that could be resolved by utilizing two way direct messaging and photo sharing? Your custom app can make that a reality and eliminate unnecessary trips into the office. Do your patients appreciate hearing from you directly after an exciting or difficult appointment? Your custom app allows you to connect with them one-on-one in ways that isn’t always possible during a busy day in the office. 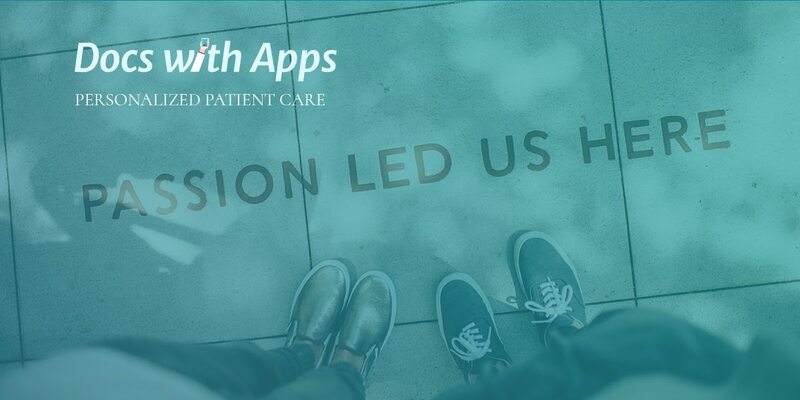 Your custom, fully branded app makes it possible to connect to your patients on an emotional level. You are not just “the orthodontist,” you are a caring individual who goes out of your way to help your patients receive the best care, and as a result, the best result possible, and you are leveraging the most current technology available to make it happen. Let us help make this a reality for you today. Your brand is not a logo, a tag line, set of colors, a website or an app – your brand is what others think of you. We are here to help you care for patients, and present your orthodontic practice optimally in both the real and virtual places where your patients and their families are interacting with you. Today we will meet Dr. Kendra Remington who is both a founding member of Docs With Apps and our first client. Question: Dr. Remington, how did you come to be involved with the development of DWA? Answer: As any orthodontist will tell you, patient compliance is the key that unlocks the door to ideal results. Lack of that compliance is what keeps us up at night. This means that to accomplish that result, we are relying on their help. It occurred to me that a compliance app could help my patients help themselves. Question: Could you explain a little bit about how the compliance app works? Answer: In my experience, most patients want to be compliant, but find it difficult to add a new routine to their already busy lives. 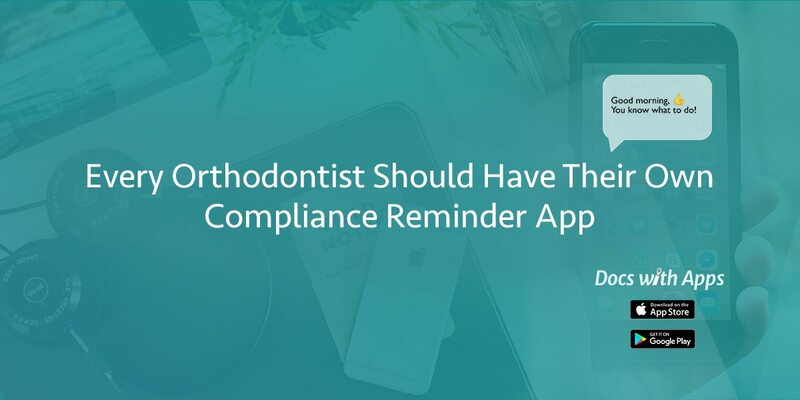 The compliance app sends out four daily push notifications to help them establish that routine and remember their new responsibility, in this case, to wear and replace their elastics. Question: How do your patients and their parents respond when you discuss the features of your personalized app? Answer: The response has been overwhelmingly positive! As we know, most adolescents are attached to their phones 24/7, so to give them a tool to help them succeed utilizing a technology that they are never without is a win-win. Parents are thrilled that the app can take over the job of reminding their child to do something so that it is no longer their job to do it. Question: What do you like best about having a customized compliance app for your practice? Answer: First, it is a way for me to reach out to my patients outside of office hours to give them help and support. Second, it takes away the negative feelings associated with “I forgot to wear my elastics, everyone is disappointed in me, and I will have my braces on longer.” And third, and most importantly, I love the fact that it can help my patients achieve success and the satisfaction of knowing that it was their hard work that contributed to their fantastic smile. That is a very powerful feeling. Question: What is the overall take away message here for anyone considering having a customized compliance app developed for their practice? 1. You are providing a valuable service for your patients. 2. You are on the cutting edge of utilizing technology within your practice in a new and exciting way. 3. The fact that the app is totally customized and branded for your practice sets you apart from the competition. 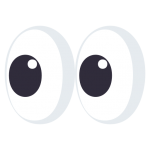 Dr. R Question: I have a follow up question for Docs With Apps, are there other features that you see being added to the compliance app, and if so, what would they be? DWA Answer: Absolutely! In 2018, we plan on launching an urgent care app that would continue to offer push notifications, and in addition would add, two way direct messaging, camera capabilities, and demo videos. Stay tuned! Dr. Remington has taken her practice to the next level, you too can join Docs With Apps and leverage mobile technology. Now we can create your own branded mobile app! 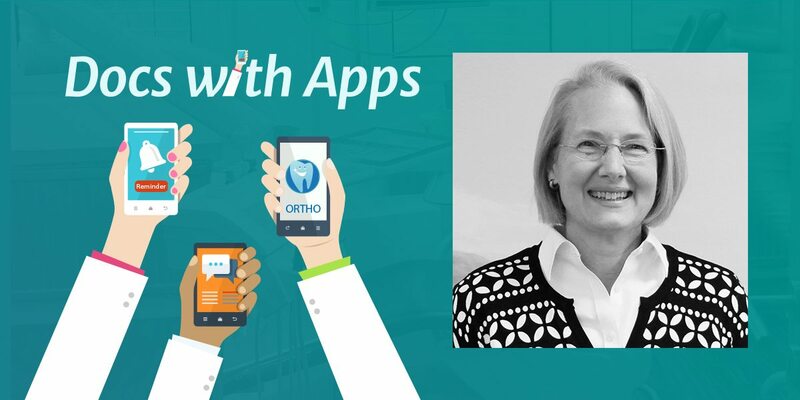 An app that will provide valuable urgent care solutions for your orthodontic practice. What problems can Docs With Apps solve for you? 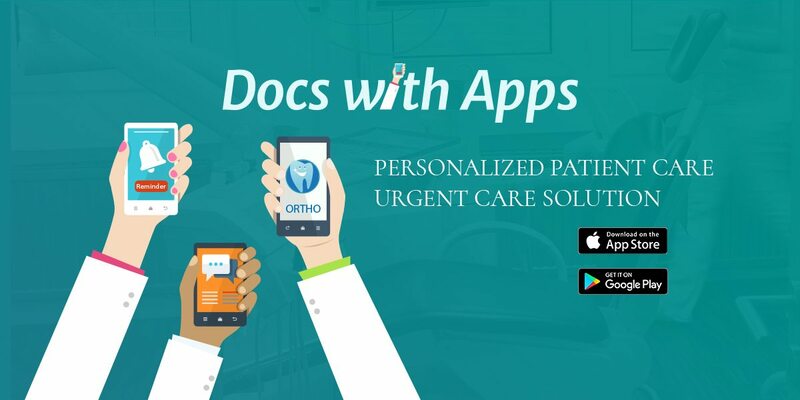 Our focus at Docs With Apps is Personalized Patient Care, Compliance and Mobile Urgent Care Solutions. Contact with your practice is just a click away for your patients. Your practice will have a fully branded mobile app which will allow doctor to patient communication phone to phone. Patient concerns can be handled by two-way direct messaging and photo sharing through the app, eliminating unnecessary trips to the office. Patients can be offered encouragement following challenging appointments. Compliance reminders can be set to help patients with elastic wear, aligner wear, and hygiene. The possibilities are endless! Don’t get left behind, technology available in the 21st century is growing at an astounding rate. Leverage current mobile technology, yet keep the personal touch that your patients have come to expect. Get a Quote. WordPress is considered to be the optimal CMS software platform to work with and currently powers over 27% of the internet. SiteGround hosting (fast php 7.0) paired with WordPress OS software, plugins, manual upgrade and backup creation, and more will serve to empower your apps and sites. Although we will be managing your sites and apps, we love to empower our clients with the opportunity to dive deeper into knowledge and best practices at all times.